Gels can give hair a wet look. For many people, the perfect hair style won't hold without help, and hair gel is a great option for strength and durability. Using gel can be tricky, however, because if applied improperly, it can create a stiff, unnatural look. There are many types of hold hair products available; gel is one of them, typically used to stiffen a hair style and keep it from falling apart. With a stronger hold than hair spray or spritz, gel can maintain styles under more adverse conditions (wind, duration, etc. 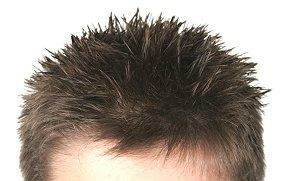 ), but it is also less touchable and gives hair a stiffer appearance. Gel is preferred for many men's hair styles because of its lasting hold, and the mildly wet appearance of gels is desirable for different styles. Conditioning agents to keep hair manageable. Sunscreen components to protect hair from UV and other detrimental radiation. Moisturizers to keep hair healthy (avoid gels using alcohol, which can excessively dry hair). Vitamin extracts to promote healthy hair. The level of hold a gel provides depends on its specific formula; most brands are rated by numbers, with larger numbers indicating a stronger, more durable hold. Because hair gel can be used to create spikes, sculpt hair, and arrange elaborate or even punk styles, there are many specialty varieties to add that something special to the hair. Scented gels come in a range of soft, natural aromas, and many daring brands add temporary color such as bright red, orange, blue, green, or purple, colors that are often preferred for emo hair styles. Another popular variation is gel with glitter, which is a favorite for prom or wedding hair styles. While these may seem like extreme additions to a hair style, the added products wash out easily, making them a fun temporary look for radical hair. Add small amounts of gel to dry hair to create quick spikes. Add gel only to roots to create instant volume. Use gel with carefree curls by scrunching it into the style for extra hold. Smooth frizz in updos and braids with small amounts of gel. Smooth flyaways near the face with dabs of gel. Larger, more elaborate styles may require a large amount of gel when initially applying the product, but once the style is set it generally holds for long periods with minimal touch-ups. Hair Spray: With assorted levels of hold, spray is quick to use and can easily be re-applied if necessary. 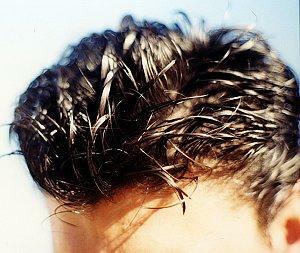 Mousse: Softer than gel but with greater hold than many sprays, mousse is a good compromise for hold and weight. Spritz: Similar to spray but with a different application method (non-aerosol), spritz also has various hold levels. Waxes: Heavier than gels, waxes also provide greater levels of hold for extreme styles. Hair gel is a versatile hold product that can be used by both men and women either for entire styles or for quick touch ups when strong, solid hold is needed. If overused, gel can create too much stiffness, but when used properly it can lead to a no-fuss look quickly and easily.